Telephone Number: 03 528 9212 Ext 1. Summer hours begin/end with daylight saving time. Along with fuel supplies, we also stock a range of groceries to save you from having to travel all the way back into Motueka when you run out of milk or you've got that chocolate craving! Bring in your SuperGold Card and receive 15 cents off per litre and if you have a Grey Power Card, 8 cents off per litre - up to 100 litres. We accept ALL Supermarket dockets. A 4c discount docket we will redeem for 6 Cents per ltr - NO MINIMUM SPEND and UP TO 100 Litres. We are unable to redeem dockets over 4c for more than 6c at this time. Diesel Pump 7 is ideal for fast filling of trucks and campervans. We also have a courtesy tanker for your farm or contracting fuel requirements. Free of charge when you purchase fuel from our Challenge Service Station. 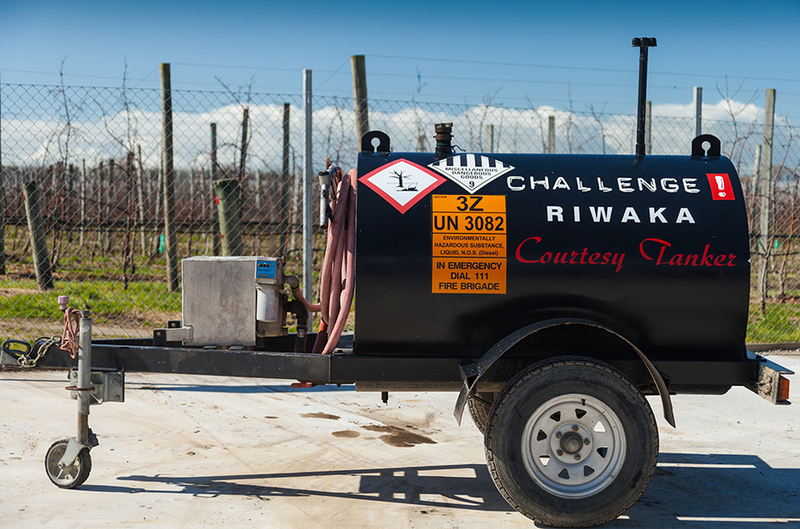 We have the facility for a small fee of $10.00 per 100 litres for Campervans to be able to fill their water tanks at our Challenge Service Station. Ask the staff and they will direct you to the water around the side of the building.